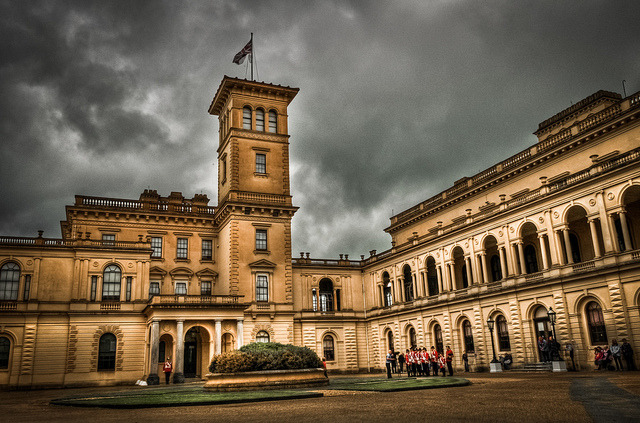 Filming starts today (Thursday) at Osborne House, the seaside residence of Queen Victoria which has been chosen as a location for the feature film Victoria and Abdul, English Heritage confirmed. Set to be the first time Osborne’s interiors have been seen in a feature film, this former royal residence will appear in a significant portion of the movie, and is the only one of Queen Victoria’s homes to be used as a location. It marks the return of Judi Dench to Osborne in the role of Queen Victoria having previously played the monarch in the film Mrs Brown, certain exterior scenes of which were filmed at Osborne. According to the film’s producers, Victoria and Abdul charts the extraordinary true story of an unexpected friendship in the later years of Queen Victoria’s (Academy Award winner Judi Dench) remarkable rule. When Abdul Karim (Ali Fazal), a young clerk, travels from India to participate in the Queen’s Golden Jubilee, he is surprised to find favor with the Queen herself. As the Queen questions the constrictions of her long-held position, the two forge an unlikely and devoted alliance with a loyalty to one another that her household and inner circle all attempt to destroy. The new film shows their friendship deepening and the Queen beginning to see a changing world through new eyes and joyfully reclaiming her humanity. The influence of India on the Queen was nowhere more apparent than at Osborne, where a new ‘Indian’ wing was added to the main house and new kitchens were built specifically where spices were prepared for the Queen’s curry luncheons. The Indian inspired Durbar room with its elaborate ceiling designed by Lockwood Kipling is just one of the rooms set to appear on screen. The opulent yellow drawing room with its luxurious upholstery and drapes and the stunning Grand Corridor will also feature. The grand Italianate architecture of the house and its stunning grounds and views will be showcased. “Osborne offers a unique insight into Victoria’s life – it was her family home and the only place she could really relax and be herself. The story of Victoria, Abdul and her Indian servants’ time at Osborne is a fascinating but little known one. “If you’re going to bring that story to life, where better place than where it actually happened? 2 Comments on "‘Victoria and Abdul’ filming starts today at Osborne House"
Looking forward to an Indian Summer on the island.